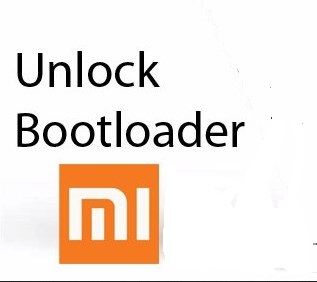 Here is a simple trick and method you can use to unlock your smartphone bootloader without any verification from Xiaomi, thanks to the tutorial from xda-forum. By following this simple instructions in this post you don't have to apply for unlocking in MIUI website or wait for any confirmation SMS, this method have been confirmed working on Redmi 3/Pro and Redmi 3s devices and should work for other variants too. This can easily be done by using the Mi unlock tool, just make sure you download and install the appropriate China developer rom for your device. Mi unlock tool is an .exe format software program, that means you can only run it on a computer. Just download the .exe file and run it as an administrator on your computer and you will unlock your bootloader. You will also need to flashed the developer rom on your device before using the unlock tool. If your unlock tool is always stuck 50%, you will need to install the Mi pc suite to solve the problem. The action will wipes all data on your storage. Do a back up first. And for "unsupported device" issue, you need to choose "folder in folder" from rom what you extracted and do flashing! 2. Then you will need to download any China developer rom for your device. 4. Go to Settings -> About phone -> click on the MIUI version continuously until you see a message "you are already a developer"
5. Go back to settings -> Additional Settings -> Developer options and click on the Enable OEM unlock and Fastboot mode and now turn off your phone (power off). 7. After you install the mi unlock, run it as administrator and make sure your computer has an internet connection. thanks. Now i am able to unlock my phone. Phonetweakers: How to Unlock Your xiaomi device's BootLoader Without Waiting For SMS Verification.